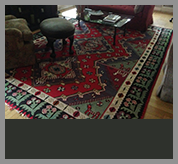 The process of cleaning and restoring fine oriental and area rugs requires a level of expertise not known to many people. We understand that each rug is unique and precious and that is why we take extreme care and caution when cleaning your rug. 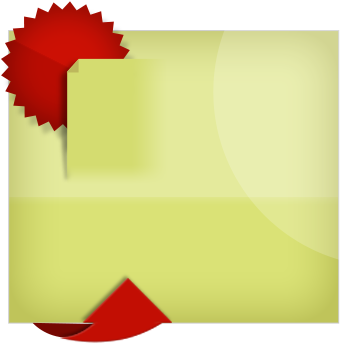 PureGreen Carpet Cleaning has a great reputation when it comes to cleaning rugs in New York. We maximize cleaning without compromising delicate dyes or weaves. We offer several different cleaning processes and our technicians will be able to inform you of the best and safest cleaning technique for your rug, based on age, condition, dyes, fiber, and construction. Cleaning area rugs is not something that should be neglected. Rugs can hide pounds of dust before they even begin to look dirty. This dust acts as an abrasive to the fibers of the rug and with time, will cause the rug to deteriorate. PureGreen Area Rug Cleaning NYC takes your rugs to our state of the art facility where each rug that comes in will be treated as if it was our own. You can feel safe and comfortable trusting PureGreen with your delicate rugs. We regularly clean all types of rugs, from Persian, Turkish, Pakistani, Oriental Rugs, Tibetan, Wool, Silk, Cotton, Sheepskin and more! 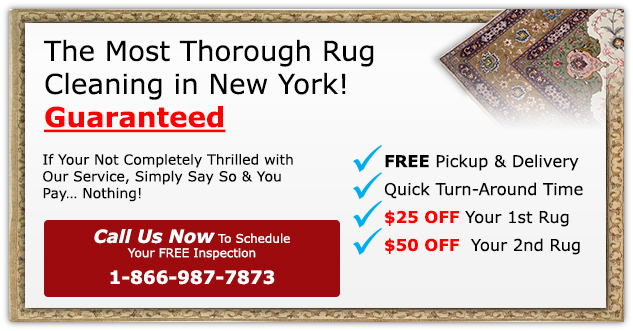 Our FREE pick up and delivery service makes getting your area rugs cleaned very simple and easy. Our technicians will move all furniture upon pick-up and lay the rug back down for you to enjoy upon delivery. Whether your looking for area rug cleaning in NYC or the surrounding Metro Areas, PureGreen offers the best rug wash for your area rugs. No rug is too damaged for us to repair! 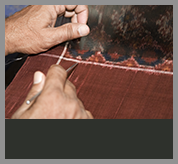 Whether your rug needs fringe repair, patchwork, or color restoration our trained rug weavers are experts in handling even the toughest repairs. 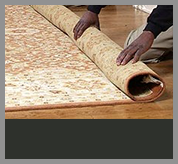 All repair work is done by hand and our technicians will guide you towards the best level of repair that matches the value of the rug. Even the best rugs will deteriorate with time but repairing damaged rugs will increase the life of the rug and allow you to enjoy it the way it was meant to be. At PureGreen we offer a variety of rug pads to suit your needs. Protect your investments with a rug pad which will not only keep the rug from slipping and sliding on a hard surface, but also extend the life of the rug. 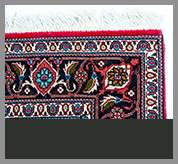 Providing a protective cushion between rug and floor is crucial in maintaining the natural construction of the rug. Imagine taking a wool sweater and beating it on a hardwood floor day after day! We will cut the pad of your choice to the exact specifications of your rug and deliver them right to your home. 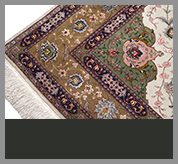 Ask one of our technicians which rug pad will suit your rug the best.